"Every Sunday at 22.00 in Telemadrid Dragolandia is broadcasted, a program produced by Zebra and directed by Fernando Sanchez Drago and co-presented by his daughter Ayanta Barilli. According to presenter himself explains this is a different and original program dedicated to "people who have stopped watching TV" in which the author and is escorted by her cats, friends, and elixirs. 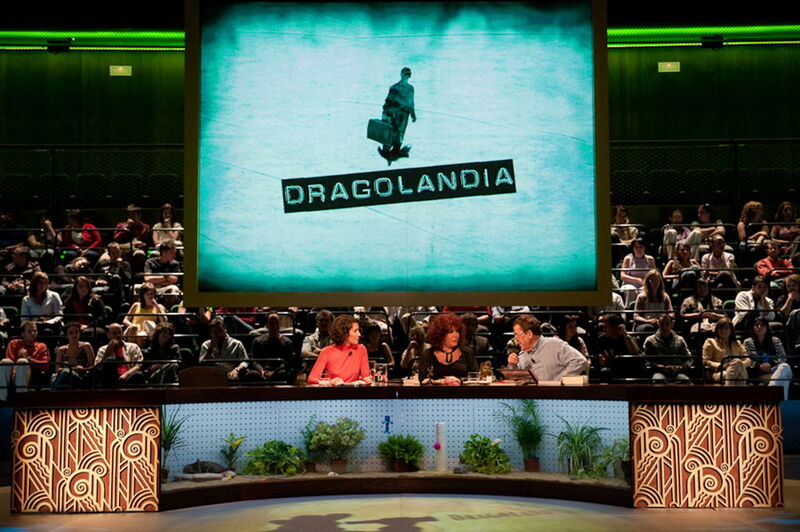 This is a quality cultural program that is full of interviews and surprises, Federico Jimenez Losantos and Mercedes Mila were the first guests of Dragolandia, but other sections such as monologues, space for criticism, popular queries or requests from "Vox Populi "or" The defense of the beholder ". No shortage of recommendations of elixirs, natural medicines, advice and a point of magic.